When we look at the signings Steven Gerrard has formally made before he even officially takes the post of Rangers manager, it is the first sign, other than the signing of Gerrard himself, that Rangers are finally going in the right directon. 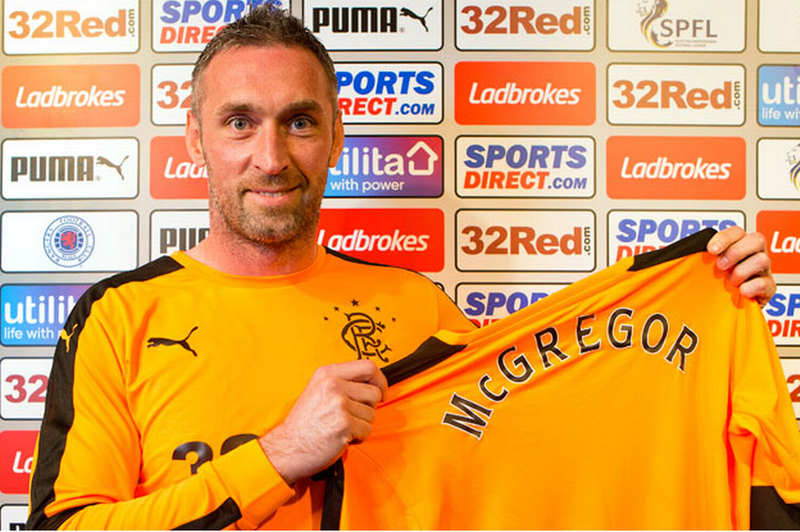 Stevie Ger fundamentally has three players at his disposal – his signings, of Allan McGregor, Scott Arfield and Jamie Murphy. Looking at each of them in turn makes for inspirational analysis. 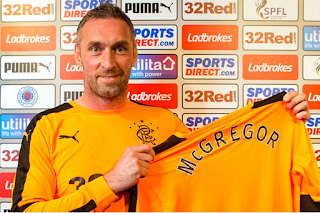 McGregor has dozens of caps for Scotland, is the number one choice for the national team, has boatloads of experience of Rangers, and of the English Premier league and Championship. He made one of the greatest saves ever seen, to rival anything the great Andy Goram produced (Stop crying Pierre), and is arguably Rangers’ best number one since Goram – we even include the admittedly exceptional Stefan Klos in this, who, older Bears will testify to, struggled to kick the ball at all and didn’t really command his area. Brilliant and composed shot stopper but there’s a reason, beyond injury, that he ended up competing with Ronald Waterreus for the jersey. Meanwhile there’s Scott Arfield – knows what Rangers are all about – doesn’t pretend he’s a dyed-in-the-wool fan but has dozens of connections both family and friends with us and is absolutely over the moon to have joined. A fair chunk of caps for his country in Canada (family connections, Scottish lad) and a glut of experience of the EPL with Burnley. Sean Dyche did not want to lose him. Last but not least there’s Jamie Murphy – true, he’d lost his place with Brighton but still had three years experience of the Championship and EPL and won many Rangers fans over with his performances and even his first Scotland cap until it maybe derailed a little following March’s Old Firm. The calibre of player Gerrard is attracting and recruiting is clearly a massive upgrade. A Canada international with half a decade of EPL and Championship experience and a Scotland international with similar plus tonnes of experience of Rangers is one hell of an upgrade over someone from Accrington Stanley and a Swindon Town goalie. In barely over a week Rangers are being linked with real players, guys from proper football teams who either we know by name, have an excellent CV or both. Gerrard has led us to the capture of the kind of players we used to get before 2012, rather than the mince we’ve had in the squad pretty much since then. It’s inspirational seeing a proper level of Rangers player either arriving or being linked – and within a few weeks we should be starting to see a Rangers we recognise again. All four of them do the identifying, but Gerrard has the final say. That's on record categorically, and no one will tell us the calibre last summer aside Alves under Pedro was even a quarter of the gravity we're getting now. First of all Stevie has a Vito on any player he does not want, its writen into his contract, he must have gave the green light for them 3,simple as that!! Got to take other positives Halliday offski, Herrera back in Mexico never to return. The direction were taking is season changing! Re McGregor's credentials - I seem to remember you shouting from the roof about Alves in a similar vein. Don't want to throw a dampener on proceedings but just let's wait and see how good he still is. 2nd last game of the EPL Championship season for Hull v Cardiff he was hardly commanding his box for Cardiff's first goal. A midget scored with a header from a corner inside the 6 yard box. Stevo let's get H Wilson sorted next.loads of teams screaming for him, we are almost over the line with him. Loans a lot easier with the window still shut squire!